High-quality toner is more affordable when you buy this compatible cartridge. Delivers crisp, clear documents every time. Easy to install and replace. Supply Type: Toner Cartridge; Color(s): Magenta; Device Types: Laser Printer; Ink Yield: N\A. 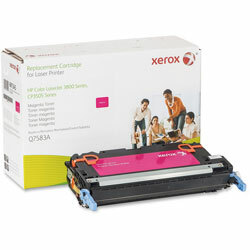 Red Laser Toner Cartridges from Xerox! 4 In Stock today.